Hamilton and I each had things we wanted to do and see in Thailand but we both had a deep desire to go to Cambodia and visit Angkor Wat. When we would talk about visiting Southeast Asia it was always traveling to both Thailand and Cambodia. When he was a boy living in Thailand it was not safe to visit Cambodia. 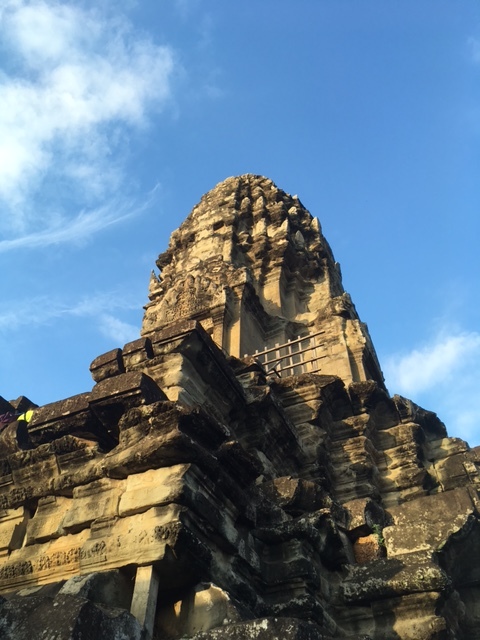 Just say “largest temple complex in the world” to me and Angkor Wat goes straight to the top of my must-visit list. 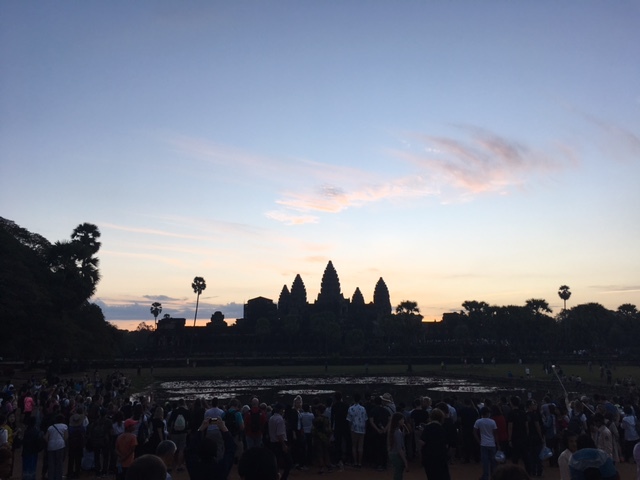 Angkor Wat is in the northern part of Cambodia next to the city of Siem Reap, just a couple of hours south of the Thai border. The largest religious monument in the world, it covers over 400 acres with with dozens of individual temples. 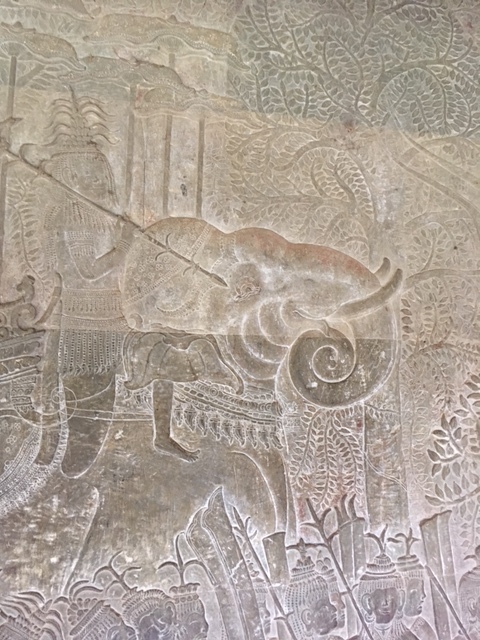 The most important and best preserved is the temple of Angkor Wat. The temples were built starting in the early 1100’s and were active until the 1700’s. During that time it changed between Hindu and Buddhist many times depending on what king was in power but is now Buddhist. After our bus tour we had made arrangements to go to Cambodia. It seemed like a good idea at the time just to drive down to Siem Reap as we were relatively close to the border. Well, it was a bit more complicated and challenging than we expected and included dragging our suitcases through the long and congested border gray zone and surrendering our passports to a man on a motorcycle along with bribes for visas. There were moments I was pretty sure that I was going to be featured on next season’s Lock Up Abroad. 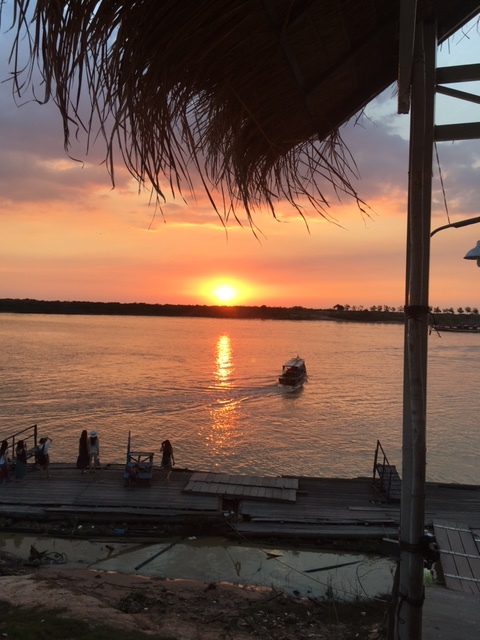 Eventually we made it to our beautiful hotel and finished the day with a sunset boat ride on a large lake with floating villages. We flew back to Thailand a few days later—a wise decision. I love a good adventure but that border crossing was almost a bit too much adventure. 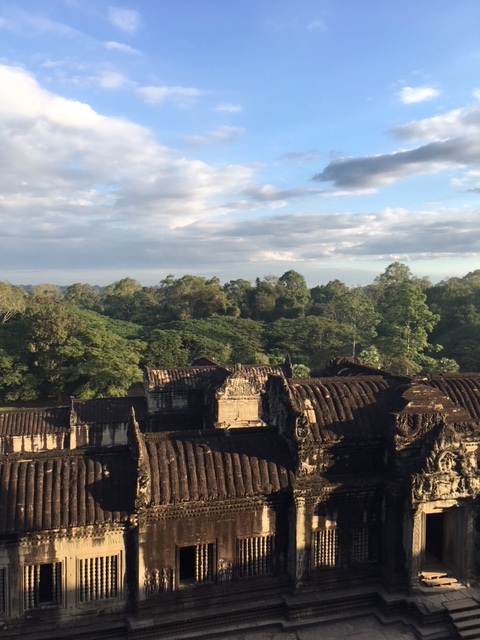 The next morning started bright and early because I wanted my first glimpse of Angkor Wat to be at sunrise. Our guide picked us up in the dark and we went and purchased our tickets and walked through the night across ancient paths and bridges to a pond with a dark silhouette of the temple on the other side. The stars were bright and Venus was hanging low with the moon. We stood with quite a large crowd waiting to see this remarkable holy site be illuminated by the morning sun. Eventually the sun peaked over the tall towers and reflected on the pond in front of us. 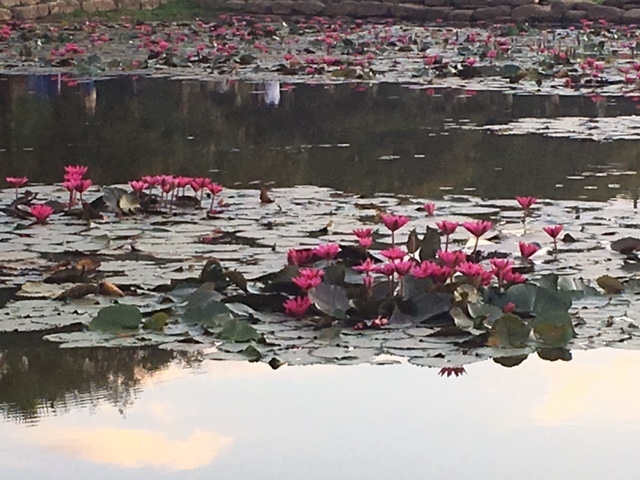 As the temple reflection mingled with the water lilies, it almost too much to bear, with the pink, blues, purples of the flowers and morning sun illuminating this glorious shrine to the gods. We walked across the bridge, through doorways, up and down steps until we reached the center of that holy place. It was still early so there was a cool breeze and the larger crowds hadn’t yet arrived. It is as awe inspiring as the great cathedrals of Europe, the monumental temples of Luxor, the crystal city of Machu Picchu and the magnificent Grand Canyon. It is a humbling expression of man’s insignificance before the Divine. On the bottom level are four pools with four more pools on the level above. 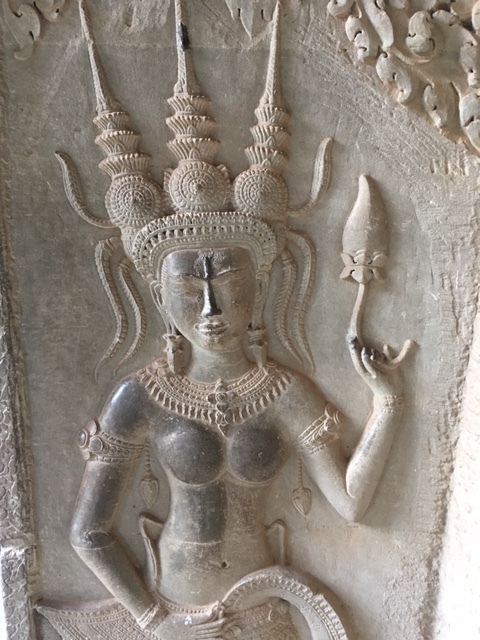 Every bit of the walls inside and out were covered with fine, detailed carvings depicting the epic stories of the Hindu gods as well as celestial dancers celebrating life. We climbed the narrow and very steep steps to the upper level to see the second set of pools and look out at the deep green countryside. 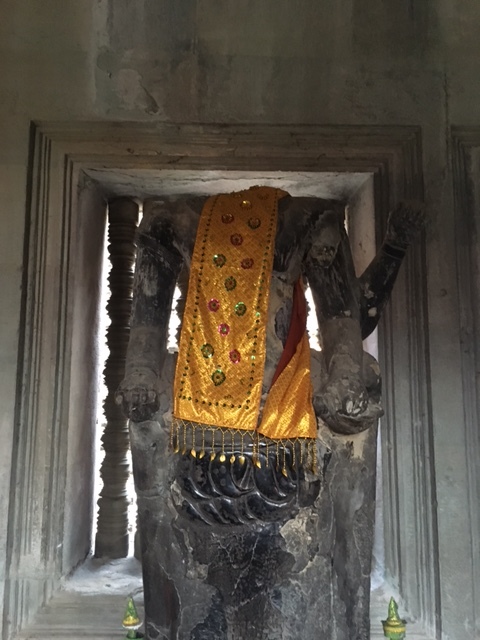 Along the walls were headless Buddhas in mediation. Some had gold sashes reminding visitors that this is still a very holy place. As with all of the great temples built by our ancestors, it is breathtaking in the current expression. I can’t imagine how amazing it was with ponds full of lilies, the walls painted and the Buddhas whole. The shrine to Buddha is back on the main level. 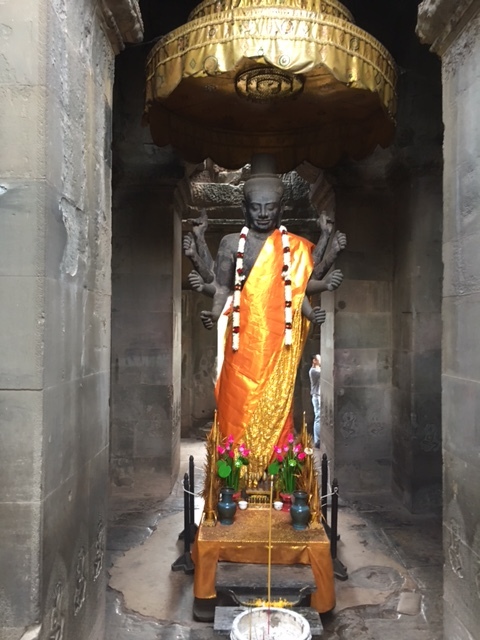 Although Angkor Wat was mostly lost in time, for 300 years the main temple was always tended by monks so the energy never left this special place. Two monks were sitting by the shrine giving blessings to those who were ready to receive. I lit incense before the golden Buddha and then knelt in front of the monk for my blessing. First he put a pink cord on my left wrist and the took a whisk dipped in holy water and shook the water on my head as he chanted prayers. It was hard for me to leave, I had dreamed of that morning for a long time and I didn’t want my visit to be over but it was getting warmer and we hadn’t had breakfast. So I said my good-byes knowing that I would be back. Like so many of the most holy places on earth, it is so overwhelming that I can’t take it in on the first visit. As I write this I’m listening to the music that I chose for my pilgrimage and my powerful memories entwine with the notes. I will go back. As much as I love a grand adventure to a foreign land, sometimes a gentle adventure close to home is exactly what my soul needs. 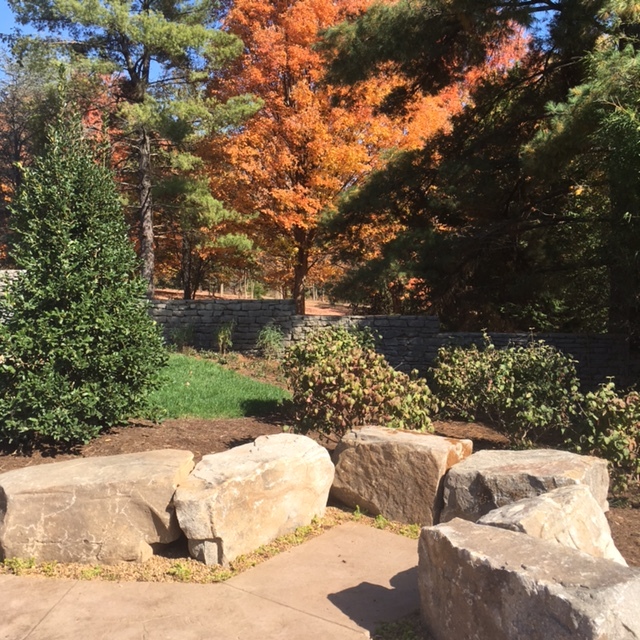 On a perfect October day with bright blue sky and the brilliant colored trees, I went to a new sacred site in my home town of Knoxville, a secret garden. 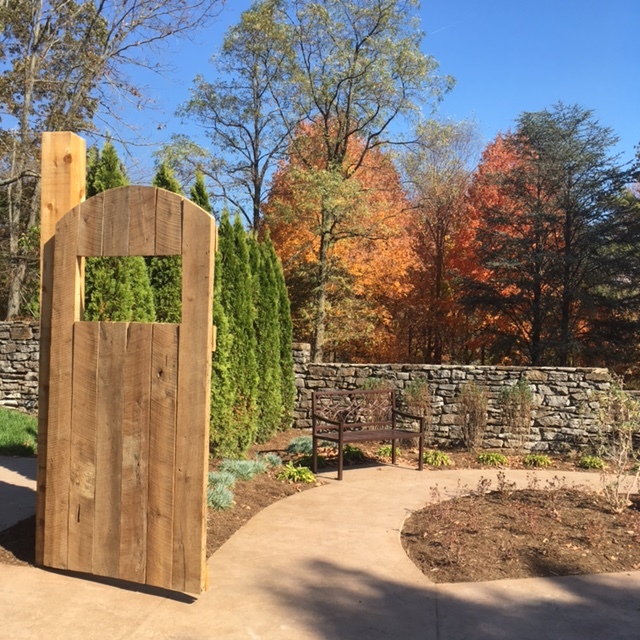 The Knoxville Botanical Garden and Arboretum is 47 acres of trees, flowers and old stone walls, originally a land grant from George Washington to David Howell for his service in the Revolutionary War. Before the land was part of the state of Tennessee the Howell family were planting trees and building stone fences. Past magnificent century-old cedars from Lebanon, there is a secret garden tucked in a corner along one of these old stone walls. This secret garden maybe new but the inspiration for the garden started many years ago in Knoxville with the celebrated children’s author Frances Hodgson Burnett. Originally from England, Frances came to Knoxville in 1865 and fell in love with Dr. Swan Burnett. She started writing novels for children. Among her most famous works are The Secret Garden, A Little Princess and Little Lord Fauntleroy. I loved all these books as a child and my copy of The Secret Garden was tattered and taped. I related to lonely Mary who just wanted “a bit of earth” and wished I had a friend like Dickon who always had a baby animal with him. I wanted a robin to show me a magical walled garden where I could have my own secret world. Two years ago my friend Val wrote a book, A Year In the Secret Garden, about bringing the magic of the original story into everyday life with activities, stories and recipes. It is a charming and beautifully illustrated book that just happened to be published right at the 150th anniversary of Frances’ move to Knoxville. A few months ago Val was asked to be on a team to help design a secret garden for the children of Knoxville in memory of Andie Ray who loved the book so much that she had named her clothing store Vagabondia after Frances’ Knoxville home. Andie’s parents wanted a special place to honor their daughter’s memory and reflect her love of life and beauty. In the story the garden is a place of healing for the lonely Mary and her invalid cousin Colin and I know this garden is a great healing for Andie’s loved ones and a place for everyone to renew enchantment with life. 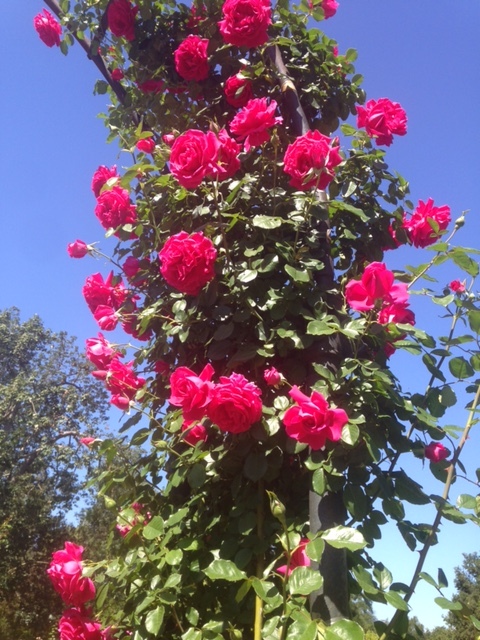 The secret world of your heart can blossom and grown in this special, beautiful garden. So on this beautiful October afternoon Val and I, her daughter and friend had a picnic and then entered the secret garden. A curved wooden door welcomes you and draws you into this magic space but don’t forget the key that unlocks this world of wonder; it is right next to the door. The path meanders along a scent garden to add to the beauty of the flowers in large pots that change with the season. 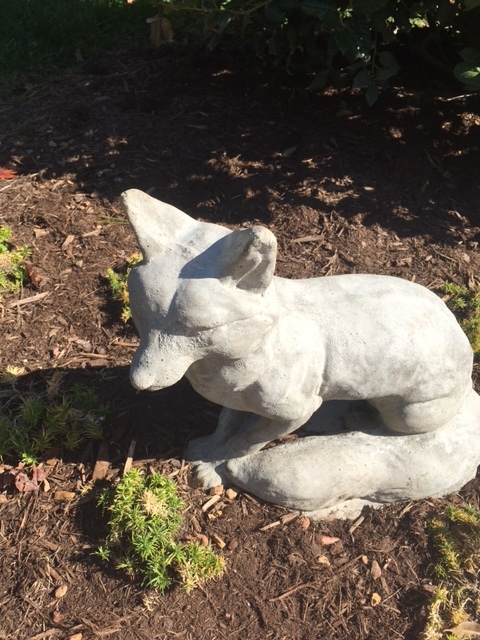 If you look carefully, you will find a fox hiding in the bushes. 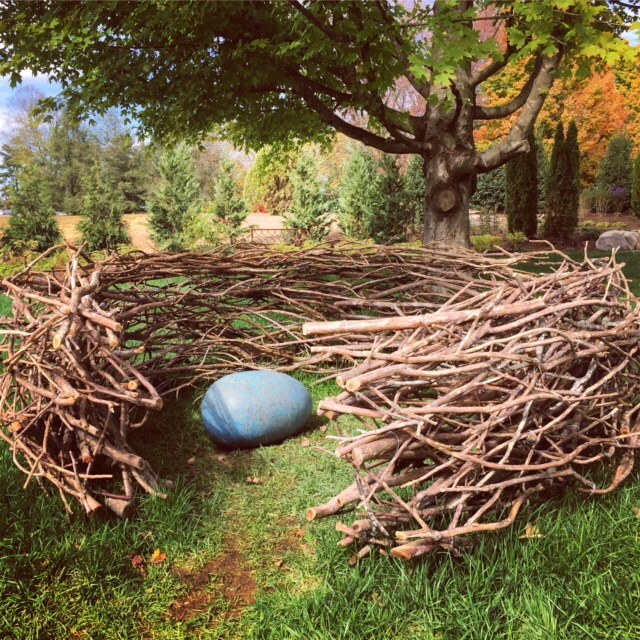 Further down the path you see a giant nest and as you come around the corner you see a robin’s egg made of blue granite. There are large rocks in a circle, the perfect place for storytelling or to sit with a good book. 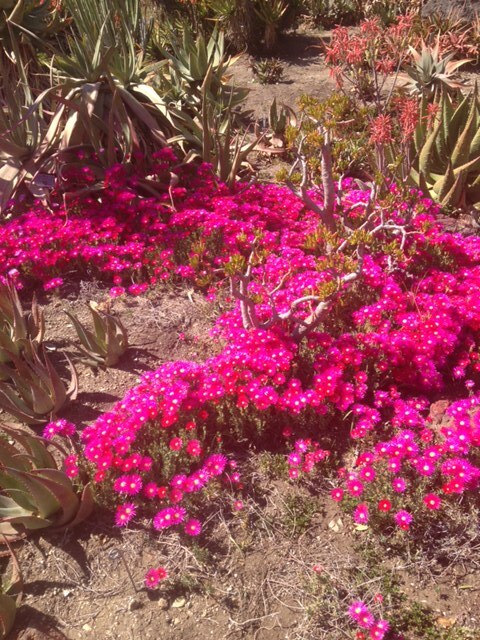 There is more to come as the garden matures and becomes a beloved place to visit in every season. The Secret Garden (1993) If you love Downton Abbey you will love the film version of the book. Maggie Smith plays the housekeeper Mrs. Medlock. I had visited Southern California once as a teenager and a few times in my early 20’s but it really wasn’t a place that called me. It is too populated and large and the glamour of Hollywood really wasn’t my thing. But now that Alexandra lives in Santa Monica, trips to California will be a regular part of my life. When I mentioned I was on my way to LA, everyone asked if I was going to Disney or Universal, I’m saving those places to enjoy when I have grandchildren but that is many years from now, I’d say around 2032. So in the meantime, I went searching for a place to feed my soul now. I’m happy to say I found a little piece of heaven on earth in the middle of the enormous urban sprawl. 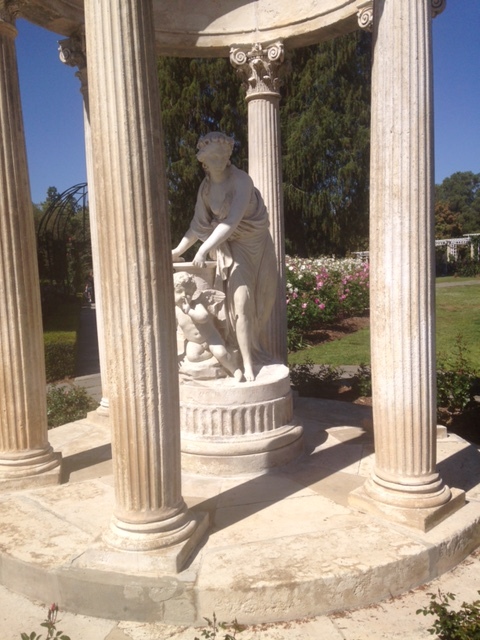 Huntington Gardens and Library combines all my favorite things in one spectacularly magical place: extensive gardens, huge library, art galleries and a beautiful mansion. Really, everything in one amazing package. It was a clear, cool day in March and my precious girl was with me, the day was going to be perfect. We started along the path and meandered by the buildings to the Shakespeare garden that was in full bloom with purple and white delphiniums. 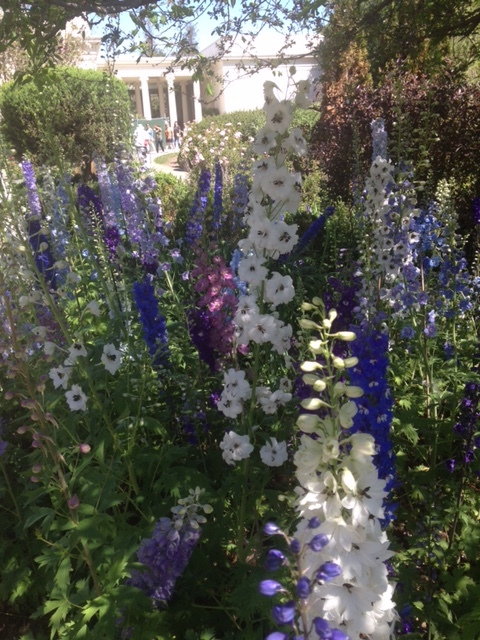 The tall flowers had every conceivable version of purple, lavender and white with a touch of blue. Alexandra’s favorite part was a vast lawn with tall classical statues lining the edges with a final view of the stunning mountains. 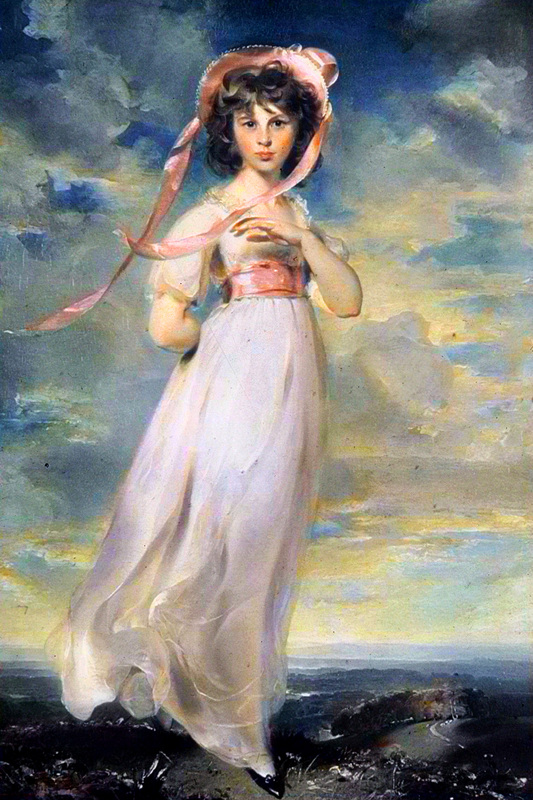 Next to the delphiniums was the rose garden in full bloom, with its intoxicating smell. The large beds featuring hundreds of different breeds of roses with their fun names and unique colors, every color of the rainbow was there and some colors I didn’t know existed. 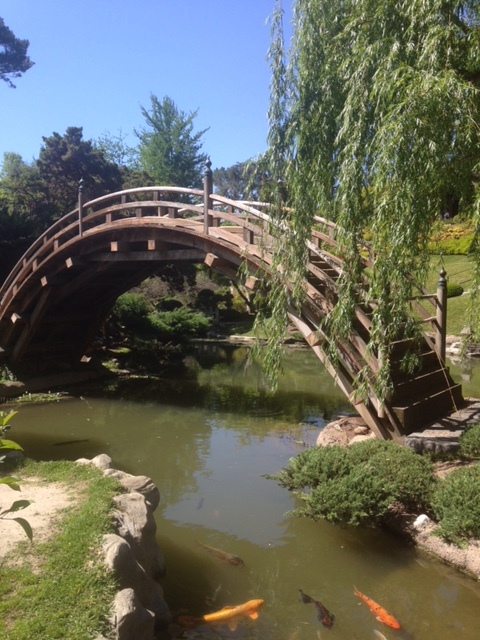 We passed through the arches of climbing roses into the next level of heaven, the Japanese garden. The path wound past the Spirit House with a big bell and down into a small koi pond with a classic Japanese curved bridge. We walked up to the walled garden containing dozens of bonsai, miniature trees I had no idea could be miniaturized. 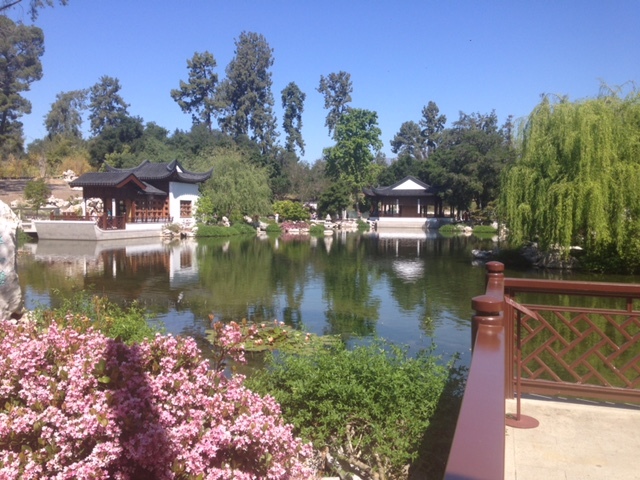 The path lead to the Chinese garden with pagodas surrounding a peaceful lake. Our hearts and minds were full but it was lunch time and we wanted to see the library rested and fueled up. The library has a large room filled with rare manuscripts, from a Gutenberg Bible and Chaucer to Thoreau and Twain. It is so exciting to see the writing of people who changed the world with their words, ideas and stories. The large mansion has an extensive European art collection. 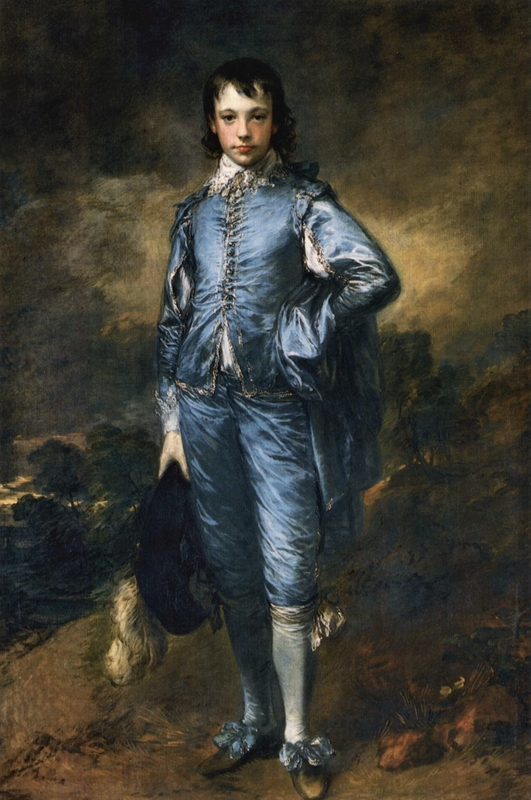 The most famous paintings are Gainsborough’s Blue Boy and Lawrence’s Pinkie. These large paintings are on either end of a gallery of other large portraits, each one a masterpiece. On to the next building with the American art. I loved the Mary Cassatt of the mother and rosy-cheeked daughter cuddling on the bed, and the Hopper of the sailboat peacefully sailing along the shore. I plan on many more visits to the Huntington Gardens, each trip will have new things to see and memories to enjoy, but most of all, I will be with my precious girl soaking up the beauty of our amazing world full of flowers, trees, art and words. This is a guest post by my friend Valarie Budayr at http://www.jumpintoabook.com and http://www.audreypress.com , author of A Year in the Secret Garden, The Fox Diaries and The Ultimate Guide to Charlie and the Chocolate Factor. Last week we took a hike together and I wanted to share with you our wildflower pilgrimage close to home. We took a little adventure a couple of days ago and discovered a Secret Garden right in the middle of the forest. We were hiking in the Smoky Mountains, everyone around here knows that the wildflowers bloom over a few weeks and many of us get out to see the forest and mountain sides bloom out in color. We took a side path and walked ourselves into an ancient moss covered forest. Surrounded completely by mountains we walked deep into the enclosed valley to discover the most enchanted vision I’ve ever seen in nature. The forest floor was completely covered in blooming phlox, may apples and another little tiny white flower I don’t know the name of. Moss one inch thick covered fallen trees and branches as well as the trunks of living trees. We were all alone here in this ancient wood. The only sounds were that of a water fall off in the distance, the cacophony of birds and the buzzing of bees. One of the most important things missing from these photos is the smell. I’ve never smelled anything as this blooming forest. It made us heady with delight. We spent over an hour in this forest soaking it all in. Soon other wildflower enthusiasts joined us and it was nice to meet people who shared in this moment of Secret Garden bliss. I learned a big lesson on this hike, that a Secret Garden doesn’t have to be behind a wall locked away with a key but can be found in our daily wanderings. This week I challenge you to find a secret garden near you. 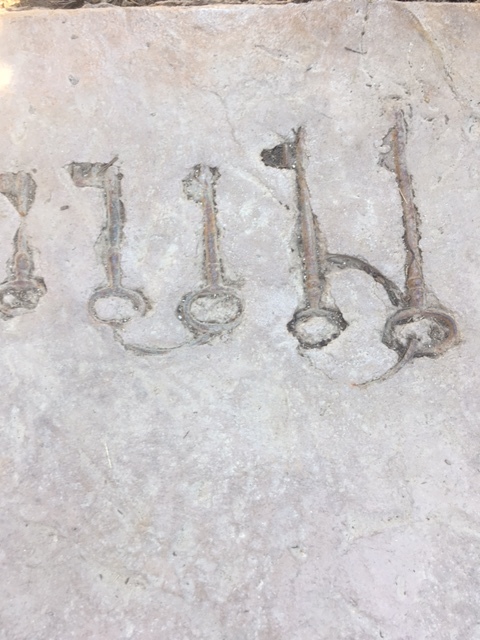 It might be behind a wall, it might be under a big tree, it might be in the forest near your home, or behind a log that’s drifted in from the ocean. Wherever it is, go and find it! Cherish those hidden moments in nature’s Secret Gardens!